Porsche Design is a subsidiary of the car company which sells accessories and licenses the name to non-car manufacturers. 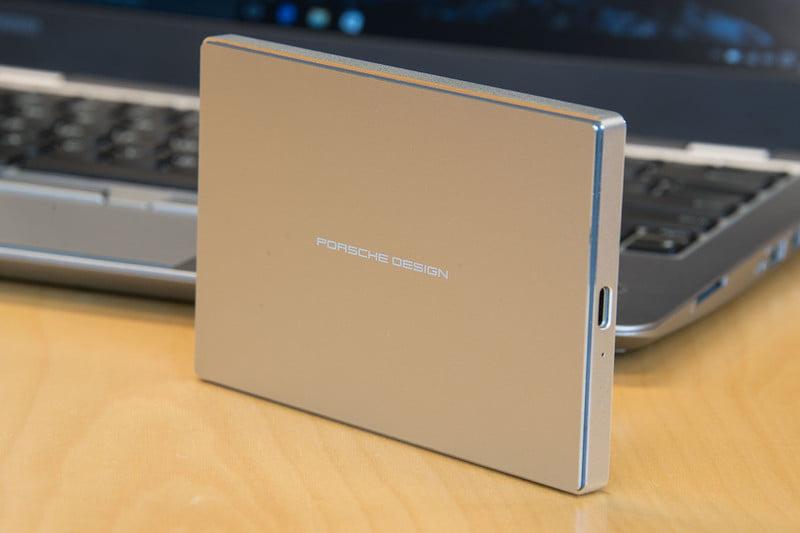 How much connection there is between the design of Porsche cars and the design of things with ‘Porsche Design’ written on them is a matter for conjecture, but whoever styled this external hard drive has impeccable taste. The shiny aluminium exterior, reminiscent of a classic cigarette case, has just enough detailing, in a chamfered inset on the top edge, to make you want to pick it up and run your thumb over it. You’ll need to polish it afterwards, though. A gold color option is also available. It has a USB Type-C port for the latest laptops, and comes with an adapter cable for USB 3.0. The manufacturer’s suggested price for the 2TB drive, a fiver more than the 1TB version, which you’d therefore be daft to buy. LaCie also has 4TB and 5TB drives under the same name, but they’re bulkier. It is about a tenner more than the 2TB version of the Seagate Backup Plus Ultra Slim drive. LaCie, incidentally, is owned by Seagate. compared with an SSD, but above average for a hard drive. It makes virtually no noise. The Seagate drive is slightly smaller and noticeably lighter than LaCie’s, which feels more robust, although the mechanism probably wouldn’t fare any better in a hard drop. It’s still very portable. Where Seagate’s included backup software is only for Windows, LaCie’s is only for Macs, and the drive also comes with software to quickly format it for macOS, so it might appeal more to Mac users. Then again, none of this is essential, and what you’re really paying for is the hardware. So what you’re left with is a tenner for the USB Type-C port, which the Seagate drive lacks – and, of course, Porsche Design written on the top, which is priceless.